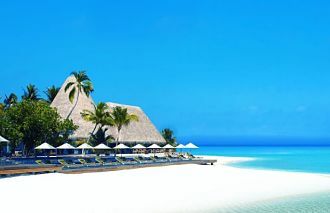 Within this island’s turquoise lagoon – just steps from your villa lies a mesmerizing seascape of vast un-spoilt coral reef and diverse marine life, more abundant and varied than anywhere else in the Maldives. 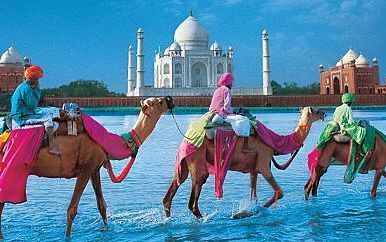 Stay 7 nights from £2539 p.p. in a Park Villa, including All Inclusive, return economy flights & transfers. 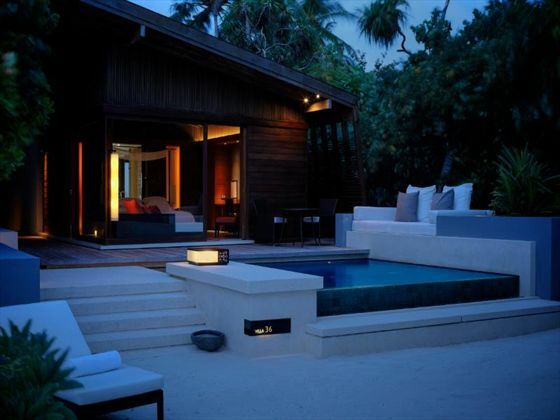 Park Hyatt Maldives Hadahaa is located in a very quiet and remote atoll in the south of the Maldives. In order to reach the resort, guests are required to take a 1 hour – 1 hour and 45 minutes domestic flight from Ibrahim International Airport to Kooddoo Domestic Airport and will then be transferred to the resort by a 30-min speedboat ride. 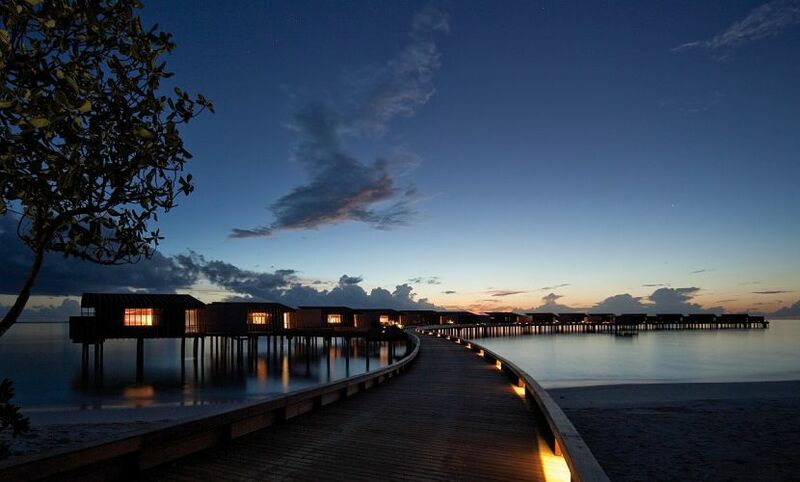 The Park Hyatt Maldives is a 50-room resort, located steps away from powdery white sand and the turquoise blue waters. The resort offers activities like spa treatments, restaurants, Dive school, swimming pool and fitness center to make your stay a complete and comfortable one. 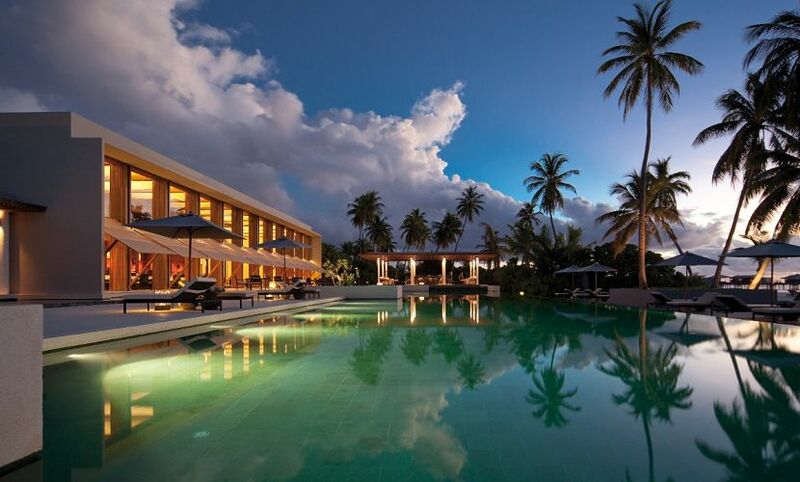 Great care has been taken in the construction of Park Hyatt Maldives Hadahaa to preserve the natural vegetation in order to maintain the ambience of the island and minimise the environmental footprint of the resort. Constructed with the use of natural and eco friendly materials like timber and stone, the park villa offers ample of sunlight and ventilation to make you comfortable and at ease. The room had been furnished with amenities like a king size bed, a table and two sun. 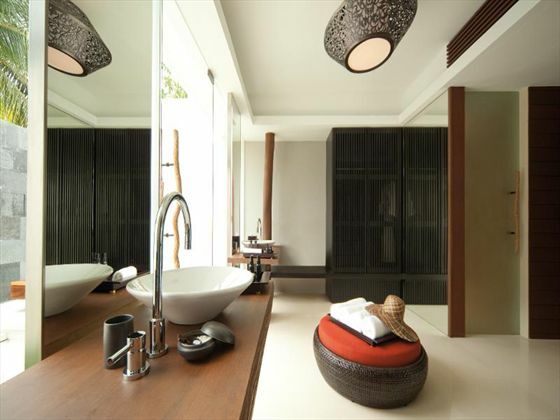 The washrooms have a terrazzo bathtub and rain shower to help you unwind after a long tiring day. 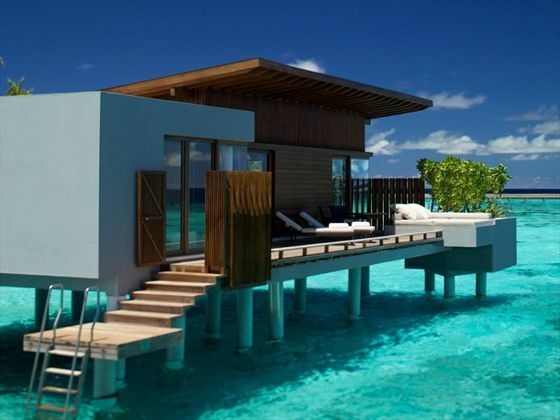 The villa offers a private beach access. 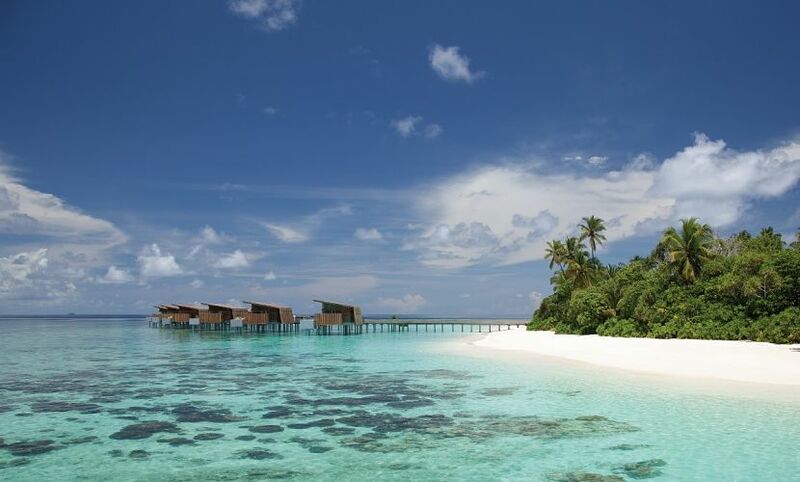 The park water villa offers a memorable stay to anyone visiting the resort. 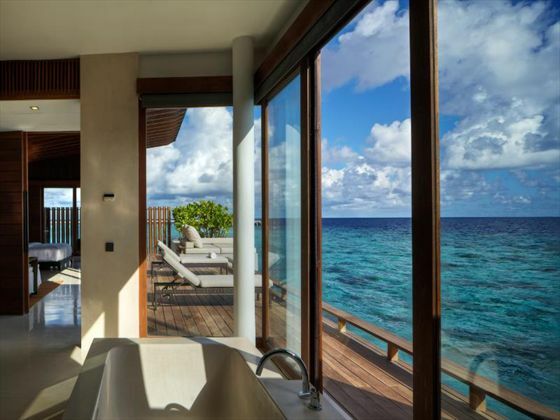 The room offers a paranomic 180-degree view of the Indian Ocean this villa sits above the ocean. The villa opts for eco friendly products like timber and stone, furnished with amenities like a king size bed, two sun beds, and private deck with table, chairs and day bed. 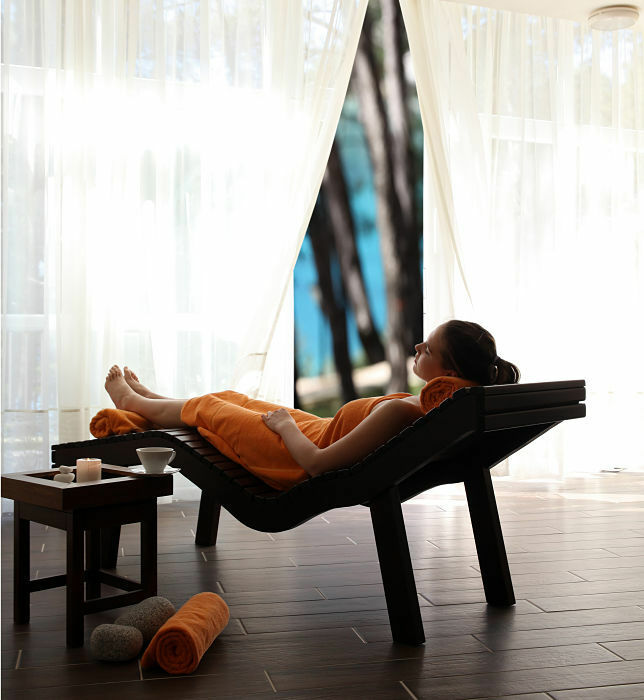 Decorated with natural materials and sheltered by rich natural vegetation and a pool. 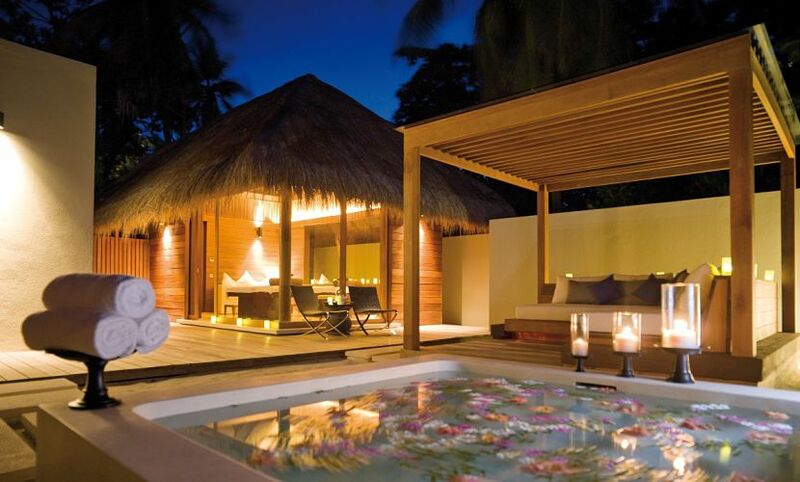 The Park pool villa boasts about ample natural sunlight, a constant flow of ventilation, and a king size bed. The other luxuries in the villa include a private deck with table, chairs and lounge bed, plunge pool, two sun beds, private outdoor bath and shower area including terrazzo bathtub and rain shower, as well as private beach access. Enjoy a flavour of foods cooked over the charcoal, the island grill at the hotel offers a wide variety of dishes to choose from. Get a taste of different various dishes cooked on a grill; Enjoy seafood, meats and veggies with a smoky flavour by the turquoise blue waters of Maldives. An extensive list of fine wines is also available for you to choose from for your dining pleasure, with the guidance of our resident sommelier. Enjoy a drink close to the calm blue waters and the white sands while dining at the Bar. Renowned for its light snacks and salads, accompanies by a wide selection of drinks from all over the world make the dining and wining experience at the resort a wonderful one. 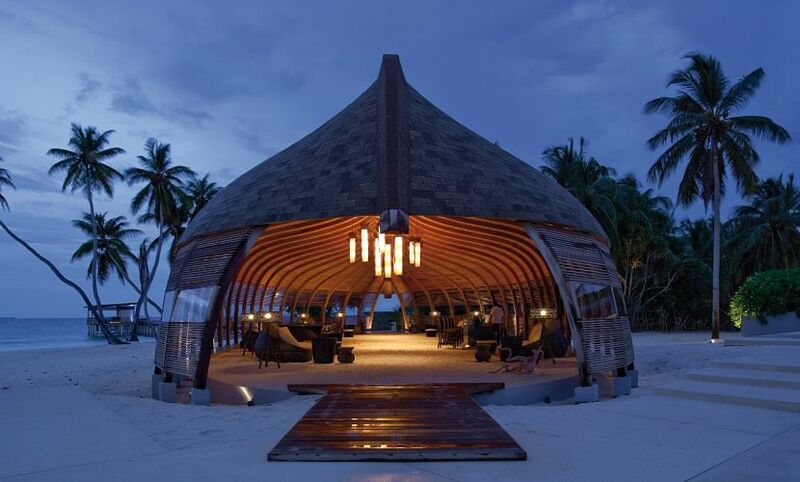 Maldives is an architectural masterpiece; the restaurant has a beautiful architecture, which is visible at the entry of the island. 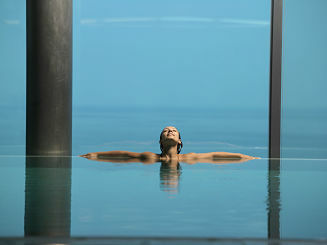 Get refreshed having different snacks and drinks, while unwinding near the pool and beach waters at the Dhoni. The dining room offers a wide array of delicacies to each one visiting the restaurant. Serving flavours from over the world, the restaurant also offers a pool of snacks from over the world. Enjoy a wide variety of wines under the guidance of the sommelier to make it a wonderful experience.